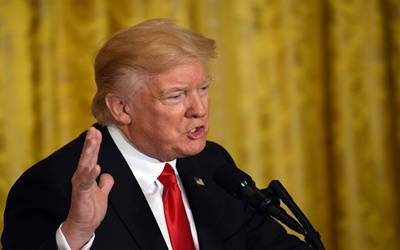 Washington, May 23 (IANS) US President Donald Trump will propose big cuts in the Medicaid public healthcare program as well as in other anti-poverty programmes that provide a safety-net for America’s poorest, media reports said. According to the nonpartisan Congressional Budget Office, the White House on Tuesday is expected to present a budget plan that will include cutbacks to Medicaid of some $800 billion over a 10-year period, something that could deprive a minimum of 10 million low-income citizens of healthcare coverage. At the same time, the White House is expected to leave it largely up to the states to define who may and may not receive Medicaid coverage, such as requirements that beneficiaries must work a minimum number of hours or actively seek employment, Efe news reported. The White House proposals could also include SNAP, a food program for low-income families that benefited some 44 million people in 2016. In general, Trump will seek to reduce social benefits for the poorest citizens on grounds that those entitlements ballooned during the 2008-2009 recession and in today’s improving economy ought to shrink accordingly. Nonetheless, some Senate Republicans, especially those in more moderate swing states, oppose such drastic cuts in healthcare and welfare benefits for such a significant part of the population.